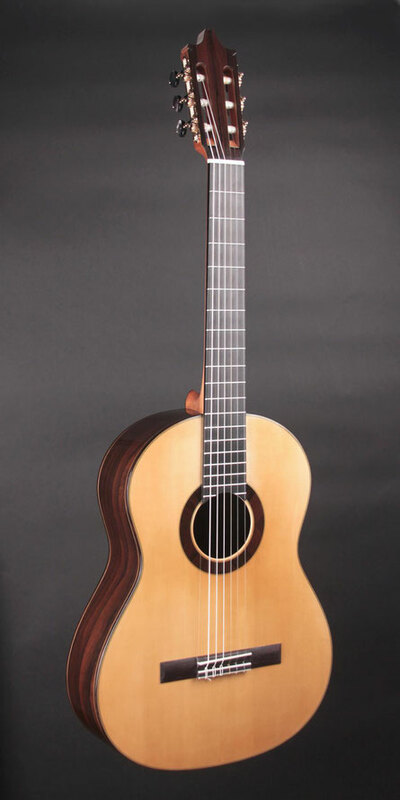 Our Classical and Flamenco guitars are available as Concert and Master models. Both are built in the tradition of the old Spanish maestros. With perfect balance and playability, our guitars have personality and allure that only the best of the old world tradition can provide. Concert models are made from premium grade woods and fitted with Gotoh 510-series tuners. Slightly more ornamented, our Master models are made with the most exclusive and rare master grade woods and hand-made Rodgers machine heads. Finish: French polished shellac. Hiscox case included.